Next week sees Kerri Chandler’s Madhouse Record return with a two-track single entitled ‘Outside/Tunnels’, courtesy of Spaniard Nacho Marco. Valencia’s Nacho has been releasing material for over a decade now predominantly via his own Loudeast imprint launched in 2007, but also for imprints such as Josh Wink’s Ovum, Red D’s We Play House, Jimpster’s Freerange and Chandler’s Madhouse Records where he returns to here. First up is ‘Outside’ which sees Marco deliver a classic slice of house laid out over eight minutes with all the defining characteristics of a Madhouse record, soaring piano lines, swinging New Jersey tinged rhythms and a choppy bass hook to smoothly drive things along. 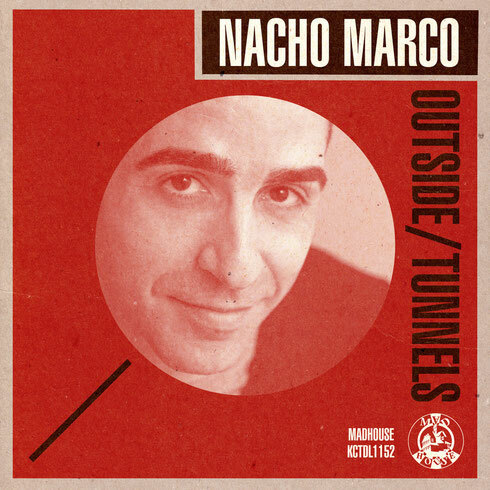 On the flip Nacho offers up ‘Tunnels’ which takes things a little deeper with dusty 909 rhythms, soft ethereal atmospherics and layers of serene stab sequences resulting in a soft, mellow counterpart to the energy fuelled opening cut.